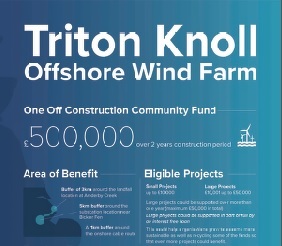 The Triton Knoll project represents an important opportunity for both the local area and the wider region, and we are keen to ensure that our investments can help provide valuable and lasting support for local communities. 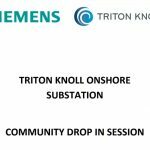 As part of this, we have set up the Triton Knoll Community Fund, which will help deliver locally identified and important projects and initiatives. 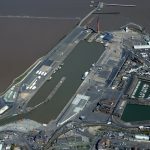 A further £40,000 annually into areas neighbouring the above ground electrical infrastructure (onshore substation) and the landfall location, during the operational life-time of the wind farm. 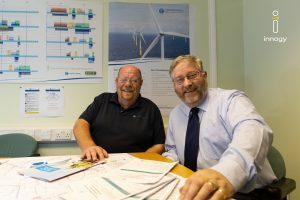 The annual fund will become available at first generation from the offshore wind farm. The inclusion of communities neighbouring the landfall location in the annual fund. An increase to the maximum funding that can be applied for with regards to the upfront construction fund from £10,000 to £50,000. 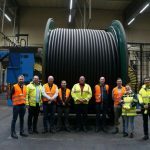 The organisations able to apply for funding to ensure that all grants are received exclusively by the local communities neighbouring our onshore works. The organisation responsible for managing and administering the funds. The infographics below provide more detail on the mechanisms for both funds and how they will operate. 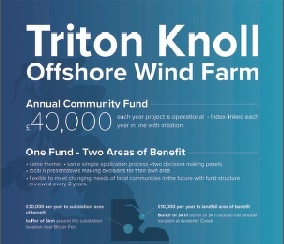 In January 2019, twelve local projects at the heart of their communities shared an almost £115,000 windfall, thanks to the first ever grants made by the Triton Knoll Community Fund. 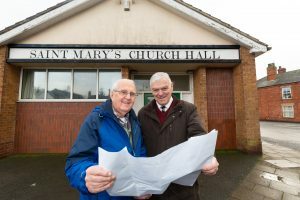 A volunteer-led First Responders charity along with projects to provide safe community play areas and the refurbishment of a key church hall, are among the recipients of the new, locally-targeted fund. Find out more about the awards, and see our SPOTLIGHT on some of the latest recipients by clicking here. See here for an overview of How The Fund Works. 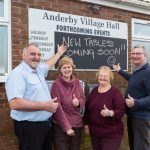 For detailed information, please visit the Lincolnshire Community Foundation website.